Of all carnivorous plants, pitcher Plants, Nepenthes, are probably the most spectacular and splendid ones. 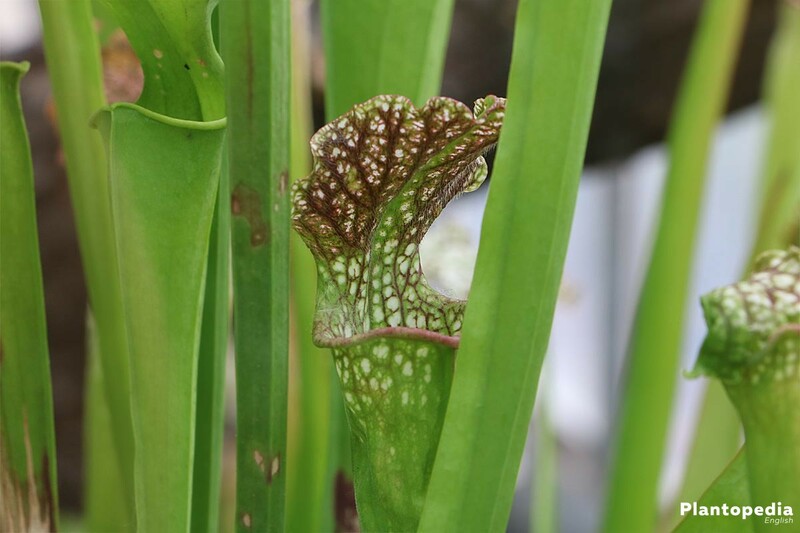 The name pitcher plants refers to their fascinating ground or air pitchers, also called pitfall traps. With these pitchers they attract insects, which is what they feed on in their natural surroundings. As a result of deforestation of rainforests, many of these species are nowadays on the list of threatened species, which makes them even worthier of preservation. Pitcher plants grow as evergreen and perennial subshrubs or as lianas, depending on the species. Species of Nepenthes originate from the East Asian islands. Some species show a rather compact growth and form rosettes. There are about 100 species; we differentiate between lowland and upland Nepenthes, and not every species is suitable for home cultivation. Almost all species of Nepenthes form two different forms of pitchers. While young plants produce rounded pitchers that are arranged within a rosette, older specimens develop tendrils and grow in their native habitat as climbing lianas. 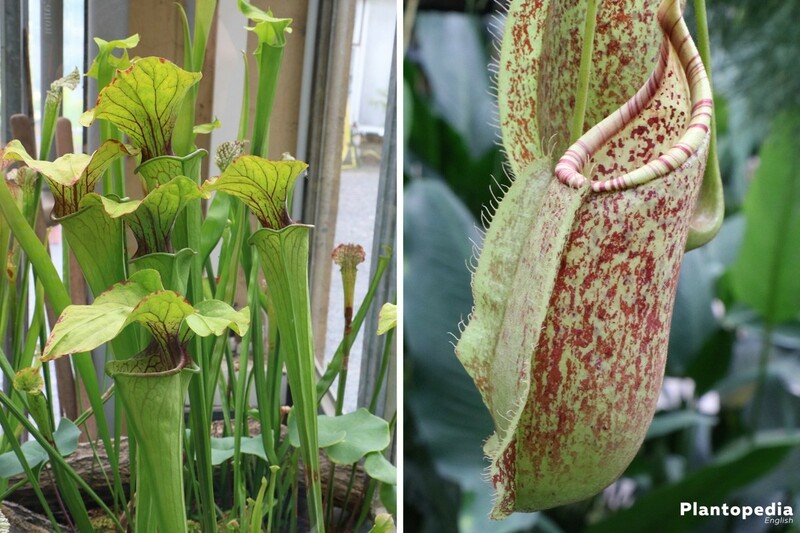 These impressive pitcher plants are real divas regarding their cultivation; they are very picky. Especially high are the demands concerning temperature and humidity. 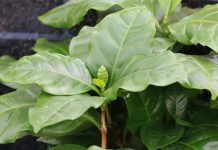 Hybrid varieties should be the easiest ones to take care of and are therefore particularly convenient for beginners. These hybrids are much more robust and undemanding than pure species. Nevertheless, the right placement and ideal surrounding conditions are also critical for flourishing or dying of plants with these species. Nepenthes love bright spots without draft, warm temperatures all year round and very high humidity. Direct exposure to sunlight should be avoided, as it could burn the mostly thin-walled pitchers or at least damage them significantly. 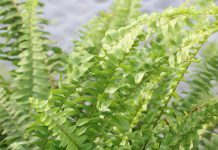 Ideal conditions for these plants are found in a heatable greenhouse or a terrarium, as long as they are sufficiently aerated. Particularly difficult to cultivate are lowland Nepenthes. They need a constant humidity of at least 70%. Hybrids are a different story though, they can also handle lower humidity. Because they need a lot of light, extra lighting may be necessary when keeping them in a terrarium. 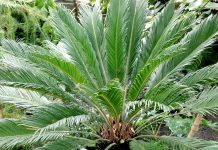 In addition, the expected size of the adult plant has to be kept in mind, because these beauties can reach considerable dimensions in old age. The temperatures for upland species should range between 20 and 25°C all year round and sink down to 10°C during the night in the winter months. For these bizarre plants these fluctuations in temperature between day and night, the so-called night chills, are essential for survival. However, lowland plants need constant temperatures of 25-30°C every time of day and year. 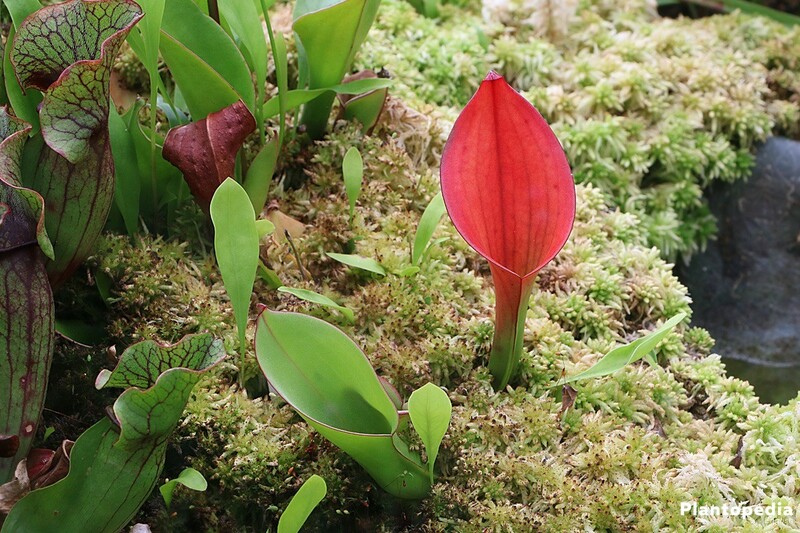 Customary flower soil is unsuitable for these pitcher plants, just like fertilized substrates. Generally, the substrate should be well-aerated and water-permeable, and preferably a natural product. There is special soil for carnivores that is commercially available. If this soil is mixed with varying additions, the ideal substrate for Nepenthes can be self-made. For this it is possible to add, for example, perlites, sand, coconut fiber, pine bark, activated charcoal and quartz gravel or also perlites, sand, white peat and expanded clay. Customary orchid substrate is also often recommended as the best substrate. The plant container should be rather shallow. Because of the climbing growth and the different heights, cultivation in a hanging basket or on top of a pedestal is convenient. When the current plant container is highly penetrated by roots, it is time for repotting. 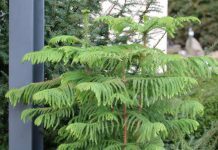 This should only be done during the growth period in summer, because during this time it is easiest for the plant to readjust. The old substrate doesn’t necessarily need to be removed or replaced. Keeping it together with the plant is actually said to be beneficial. 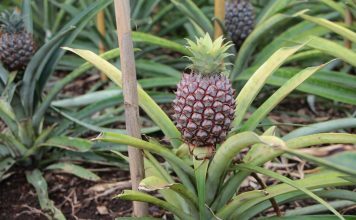 Given their warm and humid tropical origin, moisture is the most important factor in the cultivation of these plants. The influence of radiators and air conditioning quickly dry the room out, especially during the cold season, which is why watering as well as humidity have to be adjusted accordingly. 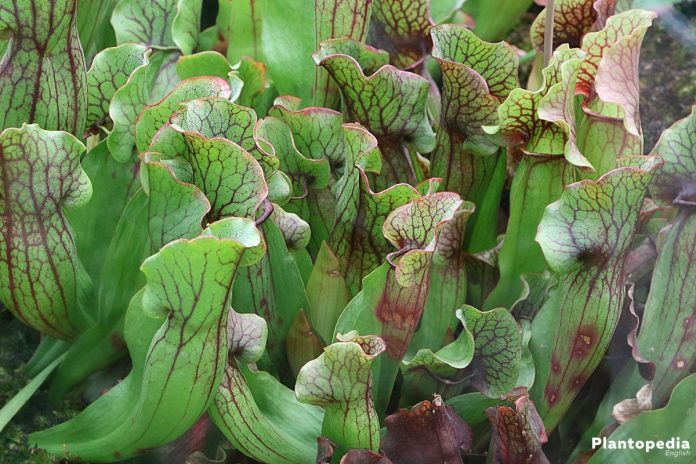 In their natural habitat, these carnivorous plants feed on insects. This prey is attracted by the sweet nectar that is found on the margin of the pitchers or pitfall traps. The smooth interior makes sure they are not able to grasp and fall into the pitcher. Downwards pointing bristles keep them from crawling back out. In the so-called pitfall traps there is a liquid containing numerous enzymes, which in turn digest the insects and thereby nourish the plant. Of course, normally there aren’t a whole lot of insects inside living quarters. Nevertheless, the pitcher plant needs nutrients to survive and flourish. This is a point of disagreement. 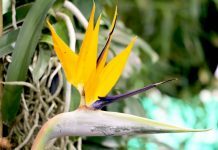 Some categorically reject fertilizer of any kind, whereas others recommend the use of a highly diluted orchid fertilizer about every other week from spring to fall. This way it doesn’t necessarily need to be fed with insects. It is also not necessary to put water directly into the pitchers – Nepenthes synthesizes enough digestive juice by itself. Pitcher plants can, depending on the species, reach considerable heights and sprawl massively. To contain growth in height, the tips can be trimmed a little. This results in the formation of more side shoots and a bushier growth. After the trim, it mainly grows to the sides instead of shooting upward. The pitchers don’t grow very old and dry out at some point. Then they should be cut and removed, just like other withered parts of the plants too. The pitcher plant Nepenthes doesn’t need a special wintering. Like the rest of the year, it wants warm, bright and moist surroundings in winter as well. 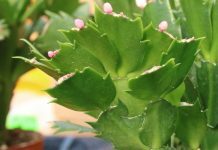 Lack of sunlight is a particular problem in winter, especially when the plant is kept in a terrarium. In this case, extra lighting in the form of artificial light is indispensable. Besides, it should be watered a little less. 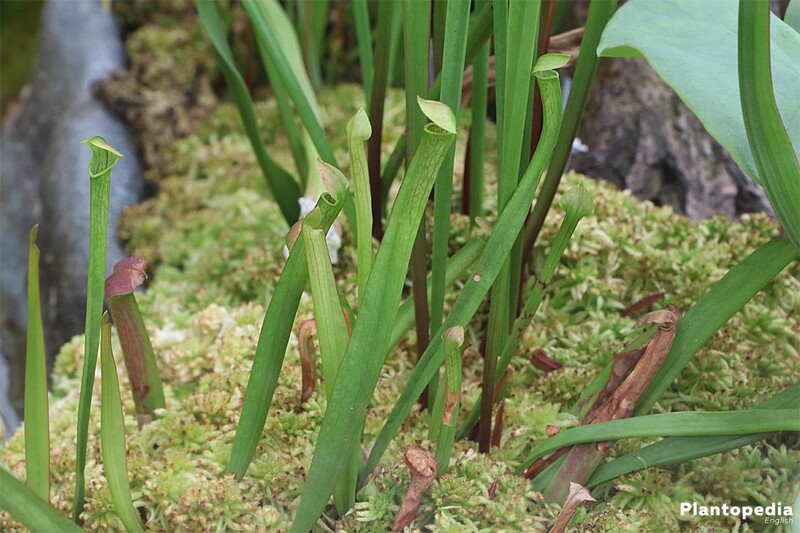 Pitcher plants can be propagated through head- or leaf cuttings as well as through seeds. 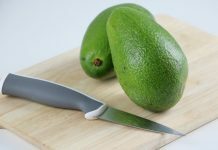 Propagation by seeds, however, is highly difficult and very lengthy. Furthermore, generative reproduction through seeds always requires two plants because all Nepenthes are dioecious. 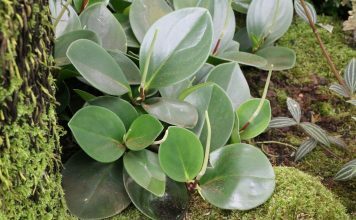 Propagation by cuttings is relatively unproblematic in comparison and much more promising. Their offspring is identical to the mother plant in all its features. If the plant is being cut back anyway, there’s the possibility to obtain cuttings from the removed parts of the plant. Diseases or pest infestations are almost always a result of mistakes in maintenance and can in most cases be avoided through ideal conditions. Nevertheless, they are not rare in these plants. If cultivation conditions are not ideal – if it’s too moist, too dark or too warm, infestation with gray mold can be the consequence. Waterlogging can in turn cause rot. In most cases, the water can’t drain properly or it is dammed inside the saucer for too long. 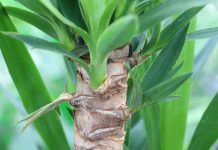 This problem can be solved by immediately repotting the plant into fresh substrate, optimizing the surrounding conditions and watering hereafter in line with demand. In the process of repotting, all rotting, diseased and dead parts of the plant and the root should be removed. Withered pitchers usually indicate water shortage and insufficient humidity. Therefore it is important to water and spray the plants on a regular basis. Dry air and lack of water can cause the loss of the affected plant within a very short time. 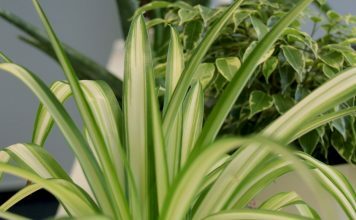 If humidity and water supply are appropriate and the plant is otherwise healthy, the cause for any withering is likely to be natural. The pitchers only grow a few weeks or months old and eventually die, which is in no way related to any diseases. However, the pitchers should only be cut and removed, when they are completely withered. 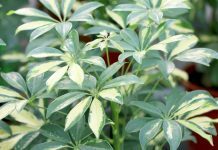 Untypical discoloration or speckled leaves can be an indicator for too intense sunlight. Then it is best to choose a light, but not sunny spot. There the plant should soon be able to recover. If the plant doesn’t get enough light, it can happen that it doesn’t develop pitchers. Therefore, a more appropriate spot is advisable. Carnivorous plants are indeed subject to infestation by plant lice. When noticing an infestation, the affected plant should first be isolated. 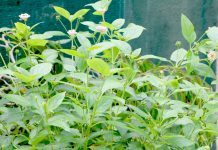 To get rid of them, commercially available insecticides as well as useful living creature that can be purchased online/by catalog are quite handy. An infestation with thrips can be handled in a similar way. There are special combo sticks available in stores that are simply inserted into the substrate. An infestation with spider mites/mealybugs is rather uncommon on pitcher plants. 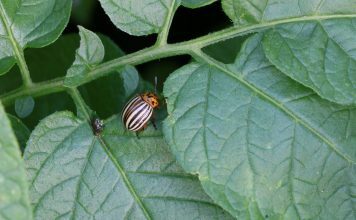 These pests can also be dealt with by applying customary plant protection sprays or making use of suitable useful organisms. This variety that comes from the Malaysian lowland forms light green, rather bulbous pitchers with reddish speckles and an elliptical mouth. 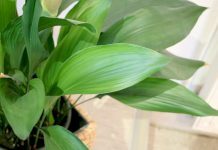 It is suitable for greenhouses as well as for cultivation on a windowsill. Cultivation of this variety is relatively easy. It requires higher humidity and is a very nice plant for hanging baskets. The hybrid Nepenthes X ‘Linda’ impresses with large reddish pitchers that reach a size of up to 29 cm. It is especially apt for east- or west-facing windows. Nepenthes X ‘Rebecca Soper’ with its long, dark maroon pitchers that can grow up to 20 cm large is a real-eye catcher. The upper rim is nearly black. 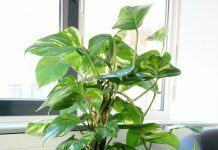 It can also be kept in a greenhouse or on a windowsill. Before the purchase, the fact that all Nepenthes species are protected by the Convention on International Trade in Endangered Species of Wild Fauna and Flora (CITES) should be considered. Therefore it is advisable only to buy plants that were grown in special nurseries. 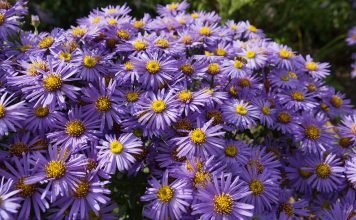 And if you avoid the biggest mistakes regarding cultivation, you will be able to take pleasure in these fascinating exotics for a very long time.